Welcome students and parents to the first week of our new exciting unit, Heating Up. I am sure you will find this unit fun and exciting, with lots of hands on activities and investigations. Use these pages to check for homework, watch my content and instructional videos, revise and explore online activities or sites to visit that I provide. I hope you enjoy using this site and make the most of your science education. Now that you have watched the video, click on the link below to go to google forms and summarise the main points for me. 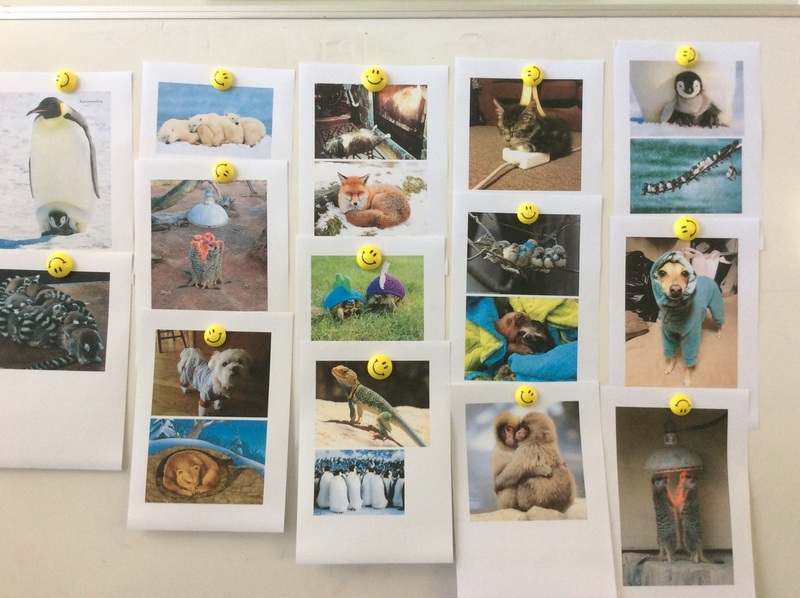 We looked at adorable pictures of animals keeping warm, and discussed the ways in which they did that. 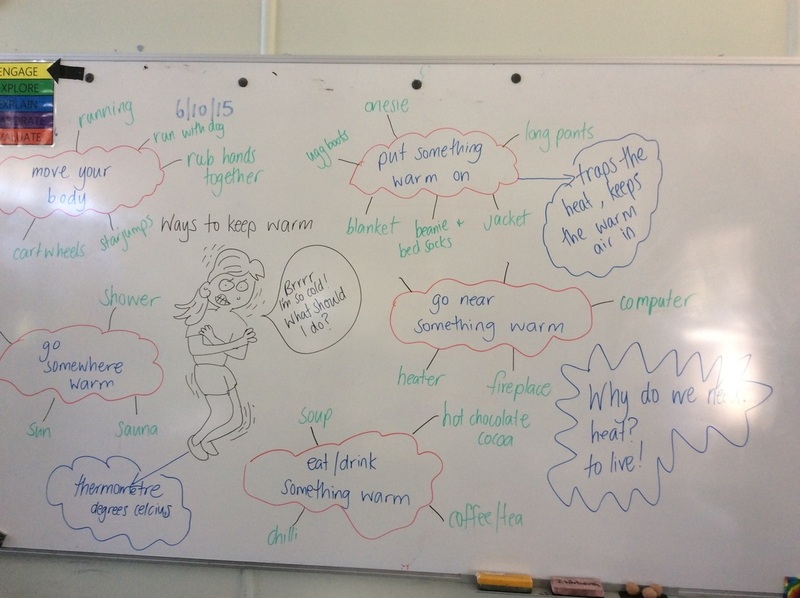 We then compared those ways to how we, as humans (yes we are too animals) also keep warm and discovered many similarities. We brainstormed these ideas and created an ideas map. We held ice cubes in our hand as long as we could bare (ouchies!) and then thought about how heat moves. Did our hand warm the ice? Or did the ice cool our hand? We will explore this concept in coming weeks. You will begin our new unit, Heating Up, in your science journal this week. It is important to record what we do, explore and learn each week so we can look back on it when we need to. You will use your journal to record observations, ideas and thoughts about our science activities. Scientists use journals, and we are all scientists. Why do we use a science journal? We use a science journal to record what we see, hear, feel and think so that we can look at it later to help us with our claims and evidence. What does a science journal include? A science journal includes dates and times. It might include written text, drawings, measurements, labelled diagrams, photographs, tables and graphs. Why do we use an ideas map? We use an ideas map to show our thoughts about a topic. What does an ideas map include? An ideas map includes a title in the centre. Ideas are written around it and arrows are drawn between similar ideas. An ideas map might include pictures and symbols.